My junior hiking buddies and I played hooky today. Well, the girls technically have a week-long break from school. But, we were truant from ballet class to play in the snow. If you know the intensity and discipline with which Big Hiking Buddy trains in her chosen art, you would understand how big a deal it is for her to miss any opportunity to be at the barre. Childhood comes only once, and snow doesn’t dust the Pacific Northwest like this every year. So, I made the executive decision to skip scheduled activities to explore Swauk Forest Discovery Trail via snowshoe instead. We got off to a late start since no one was interested in waking to our regular weekday buzzer of 6:30 am on this miserably stormy morning. (Not to worry, I’ve temporarily reset that alarm to OFF! We’re on break, and even I don’t want to get up if I don’t have to.) Following a 1.5 hour drive east along I90, we arrived to a relatively empty Blewett Sno-Park just before 11:30 am. We three were so thrilled to see blue skies and sunshine on this side of Snoqualmie Pass. We quickly set up and made our way past the sledding hill onto the trail. The route immediately took us up a steep slope, leaving me questioning whether this was actually as easy as described in my guide book. 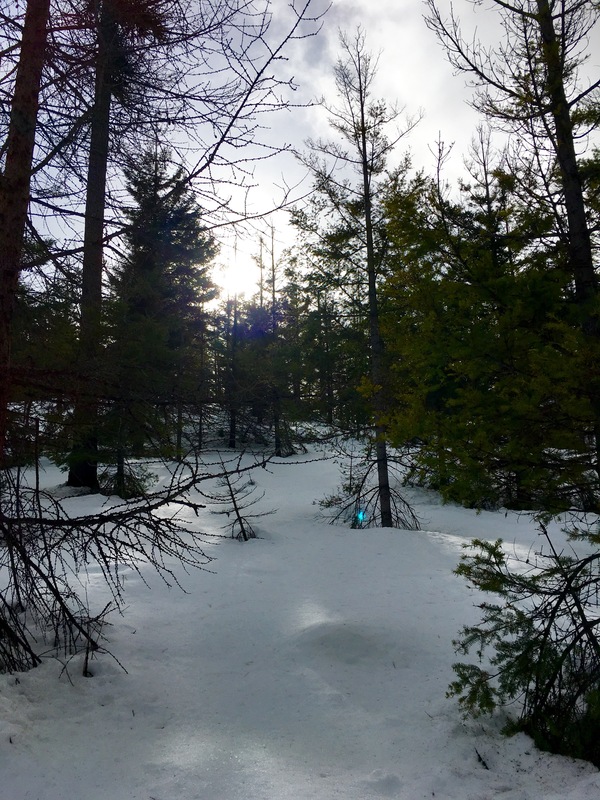 With BHB heading up the challenge, we followed the clearly defined trail through the forest, marked by ever-present blue diamonds along the way. 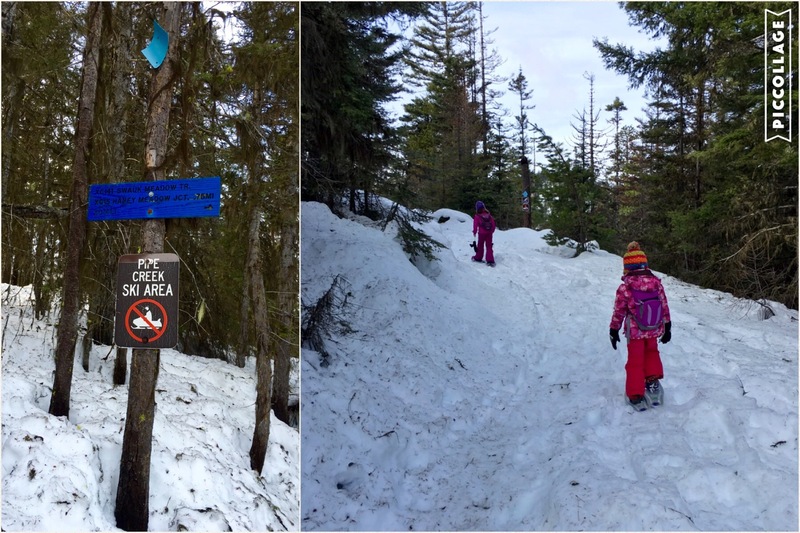 Although the snow on the trail was packed down by previous hikers, the drier powder on the eastern side of the Pass still lent itself to a fun snowshoe hike. 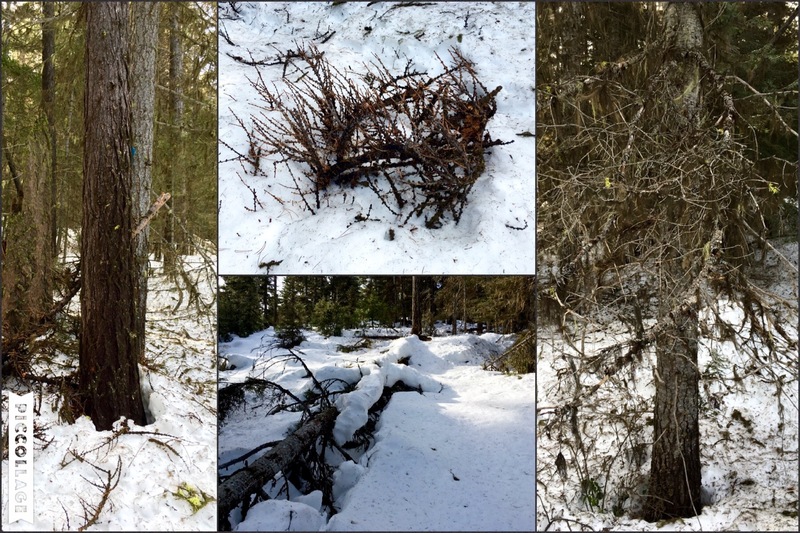 The snow here was deep, defined by many tree wells and fallen trees hidden under thick coats of white. The damage from last summer’s drought and wildfires throughout the region was still apparent, with ebony shadows dotting our way throughout this winter wonderland. 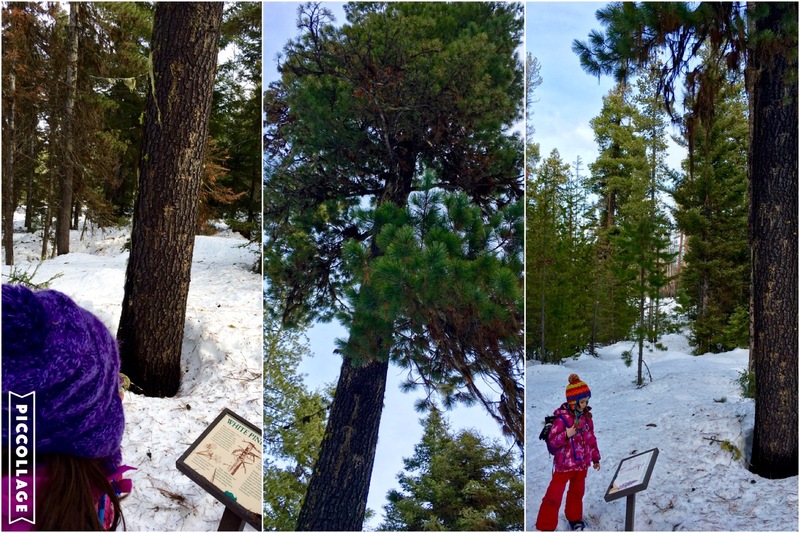 Throughout the Discovery Trail, we saw posts to protect the diverse conifers from unlawful logging, as well as natural signs of wildlife such as bear markings and woodpecker holes on various trunks. 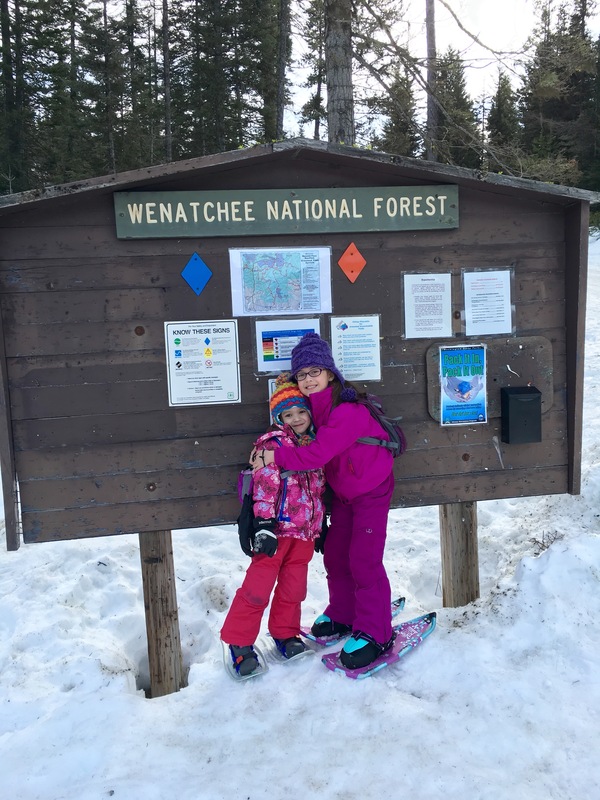 My junior hiking buddies enjoyed reading the information kiosks about the types of evergreens, the diseases affecting the forest and the general ecosystem in Wenatchee National Forest. Even LHB was making the effort to practice her reading skills. So many facts, so many questions, so much of nature to touch and see firsthand. It was such a beautiful walk through the forest. The clouds melted away to reveal the sunshine we had been promised. We were the only ones on the trail today, allowing the girls to fully express themselves and enjoy their experience. 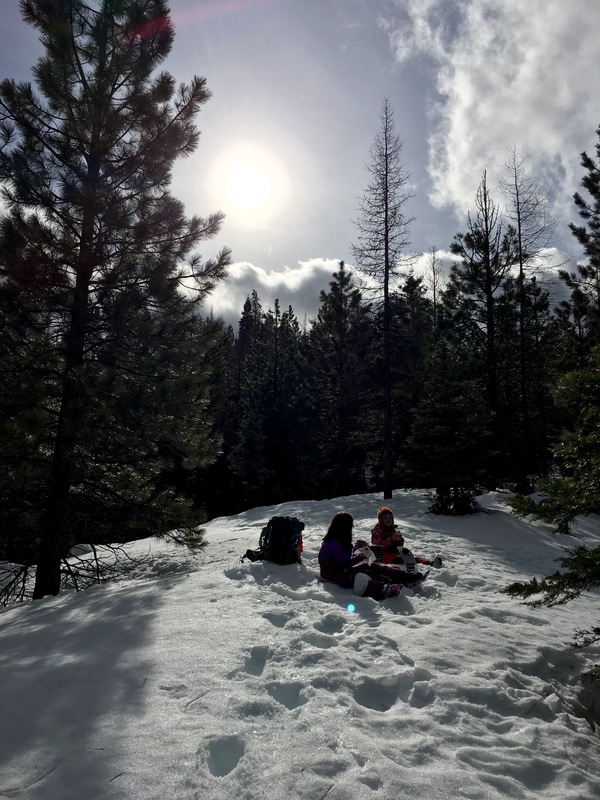 My hiking buddies raced each other in snowshoes, argued about silly things and sang duets from their favorite artists, including Taylor, Shawn and Harry. We really had no time limit, except for lunch, so we meandered along at a comfortable pace. I was fine moving slower than usual, since I was carrying most of our necessities on my back (and still recovering from Sunday’s waterlogged adventure up to Lake Serene). 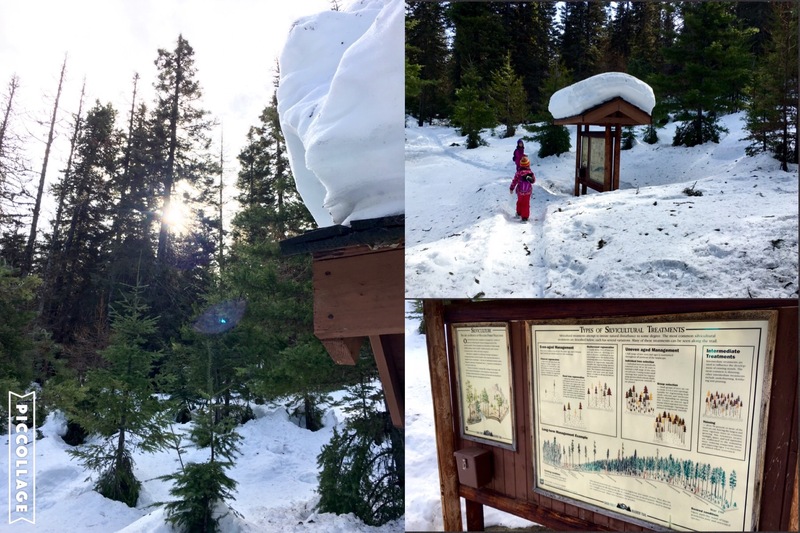 We found ourselves at a perfect midpoint for our trip after 1.25 miles of snowshoeing. The crossroads between the Discovery Trail and a few other ski touring routes was perfectly situated on a plateau that offered splendid views of the Stuart Mountain Range to the north as well as lower peaks in the nearby distance. It was such a gorgeous spot to set up our picnic! The azure skies clearly outlined the entire Stuart Range from east to west, which we could vividly see through the bare trees from our vantage point. 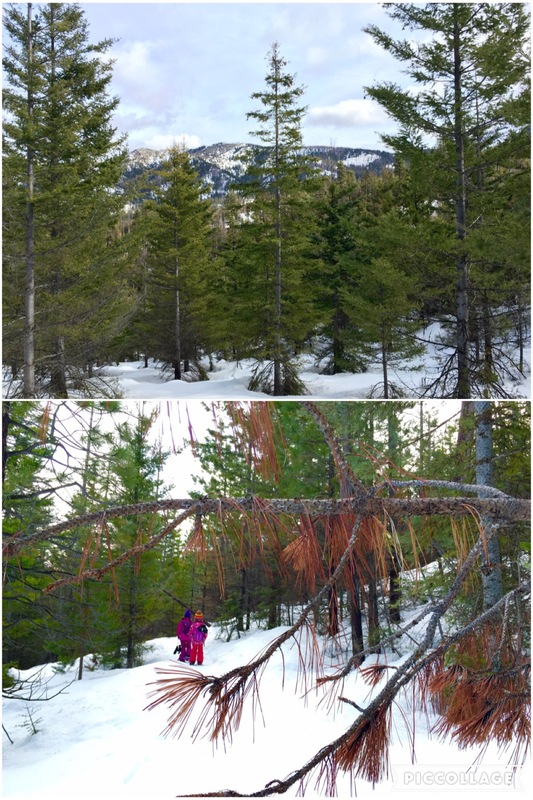 Both hiking buddies pulled out their binoculars to spy the distinctive crown of Mt. Stuart and her companion crests of Argonaut, Colchuck and Dragontail Peaks. BHB could not believe the level of detail offered through her lenses. More questions, more sights, more exploration. 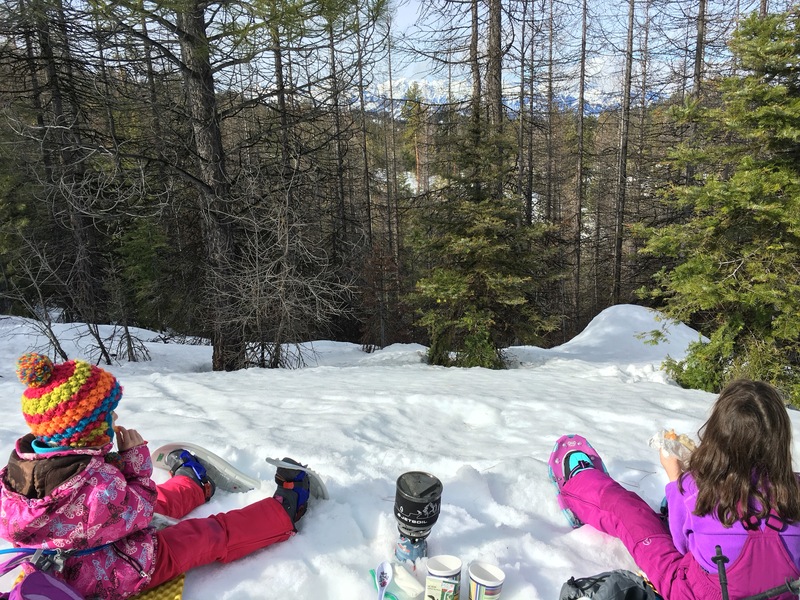 While the girls peeked through their scopes, I set up our little picnic in the snow. Of course, I unpacked my now-trusty JetBoil MiniMo and immediately put it to use. My hiking buddies munched on their typical fare of sandwiches, carrots and grapes as I boiled water for soup. This being BHB’s first exposure to my new favorite tool (er, toy – call it what you will) left her in awe of how quickly steam roared out of the cup. 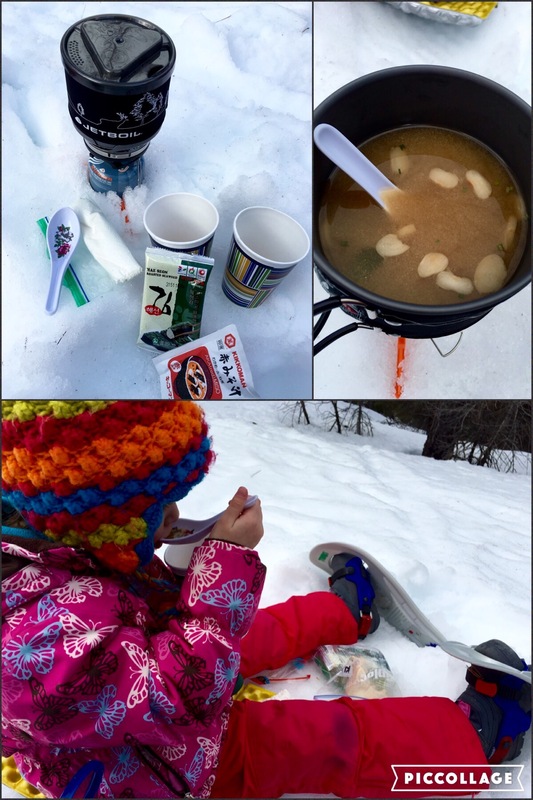 Within minutes, we three enjoyed two different variations of miso soup, as well as tea and coffee. LHB took her time sipping every last drop of broth from her favorite soup spoon, while BHB savored her warm apple spice tea. 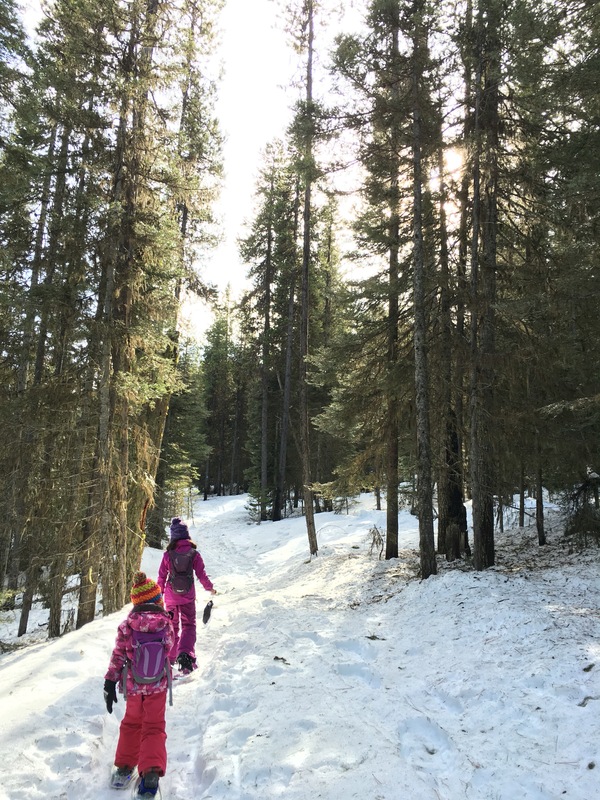 Fueled with renewed energy from lunch, my little hiking buddies raced through the forest on the return trek. This time around, they noticed details along the trail they had missed on the way in. 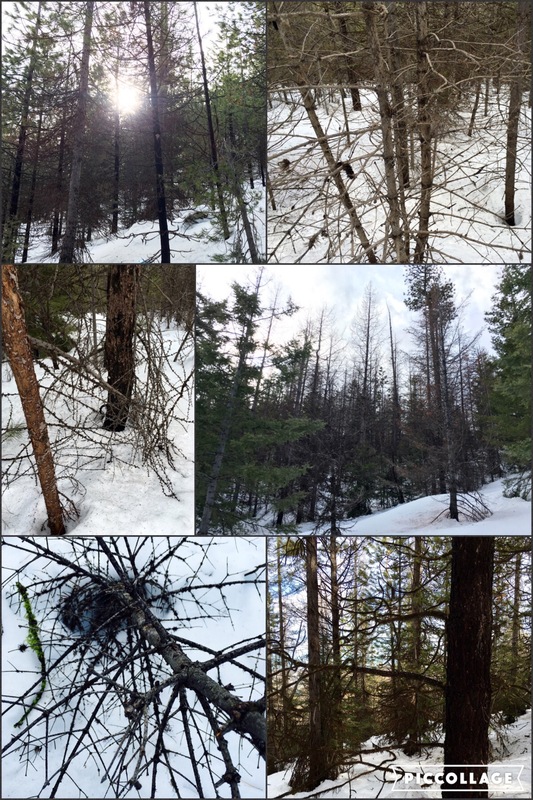 BHB identified damaged trees with trunks blackened by the fires, as LHB observed the different colors and shapes of varying pines and deciduous trees. I was in love with everything around me, particularly the view of Argonaut Peak so perfectly framed on our route back. As I brought up the rear, I couldn’t help but notice how little my girls were compared to the tall forest overhead. They looked like colorful little spring blossoms from the distance. Ever the optimist, I took that as a sign of good tidings on this warm winter day. We were the only ones in the sno-park when we arrived back at the trailhead. 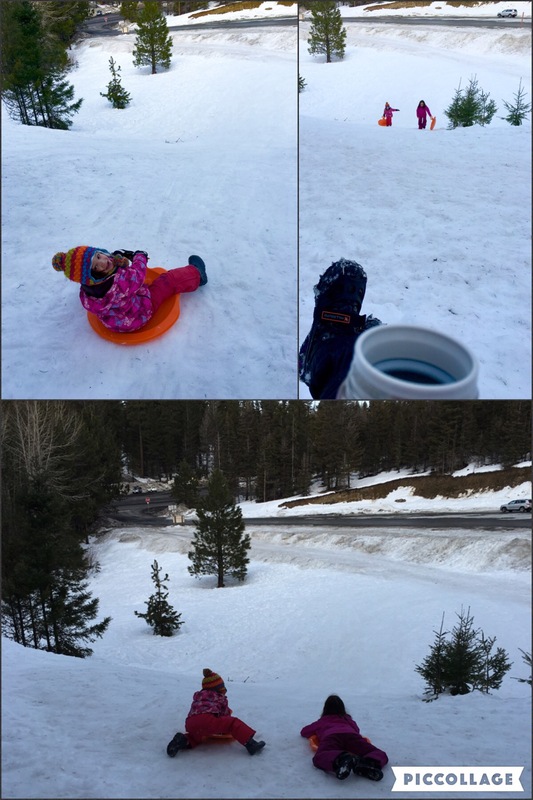 The girls quickly unstrapped their snowshoes and packs, trading in their gear for sledding discs. As they ran off to the hill, I put on my trusty crampons and tromped over to them. With my thermos of hot coffee in hand, I made myself a comfortable seat in the snow atop the hill. There I had the perfect view from which to witness two excited little snow bunnies gleefully screech as they repeatedly scampered up the hillside just to fly back down the perfectly frozen slope. 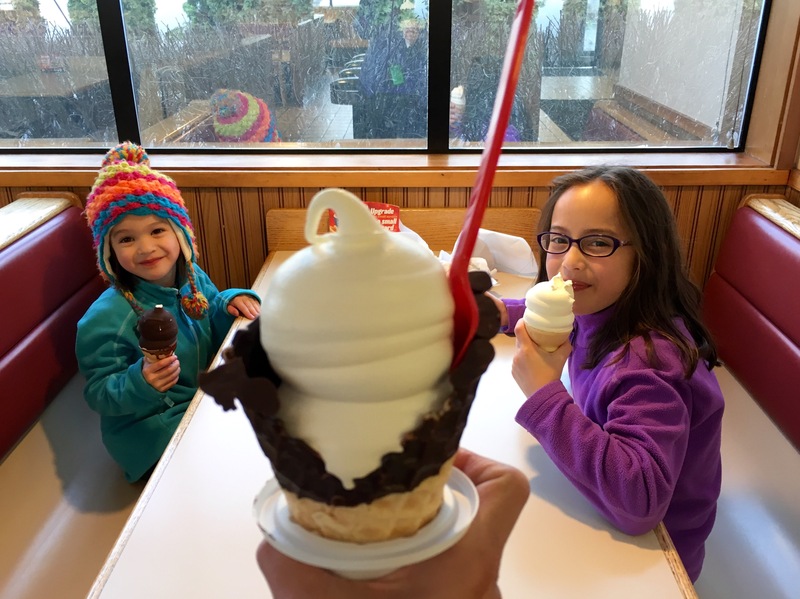 Ironically, they both worked up an appetite for ice cream after an hour of sledding in the snow. So, of course, we took a detour through Cle Elum on our way home and treated ourselves to milky white cones. While I don’t advocate truancy, playing hooky today from our scheduled life was the best decision. Not only did we have a blast, we all gained a better appreciation for nature, our abilities, and each other. Plus, we got to eat ice cream!